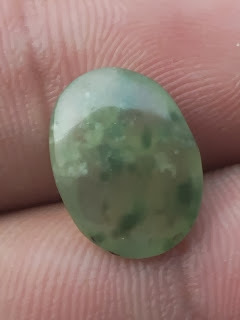 This is a nice Natural Sungai Dare \ Idochrase. 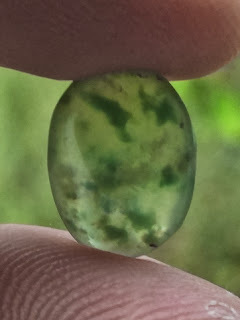 The color is nice transparent green with a spots of vegetable color (we call it "totol sayur"). 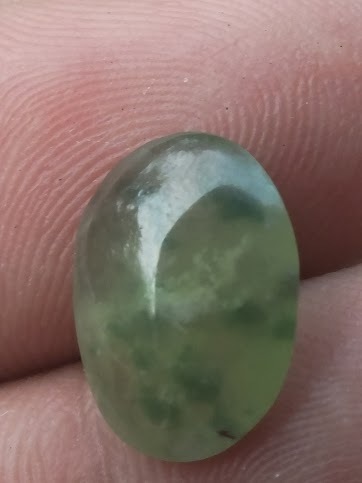 The size of the gems is (est) 13,8mm x 10,2mm x 5mm. Price: Rp. 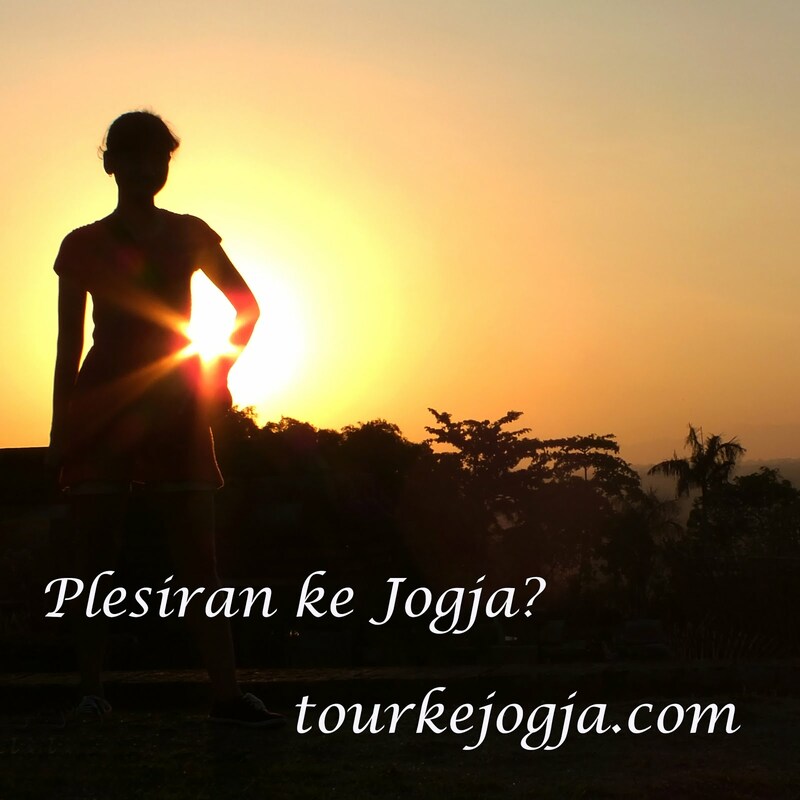 240,000,- shipping cost is included for Indonesia delivery areas only! 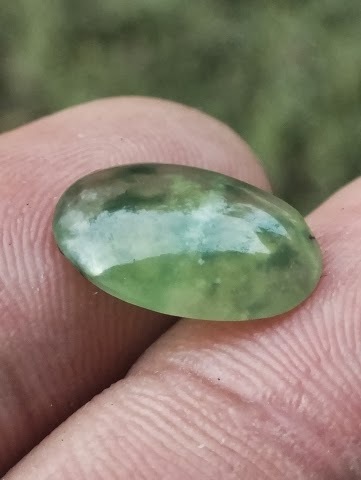 A beautiful Jade of Sumatra! 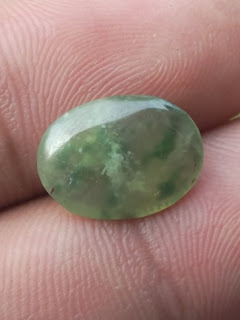 Natural "Batu Sungai Dare"!